Work fearlessly with support from Justworks. We’re here to help you navigate the ins and outs of running a business. We know running a business isn’t exactly a 9-5 job. That’s why we offer our customers full-service support, whenever and wherever. By phone, email, chat, Slack, or SMS, Justworks’ dedicated team is standing by 24/7, ready for the tough questions you throw our way. Access better benefits at better prices. From health insurance to pre-tax commuter benefits, our support team is able to answer your questions and help you take advantage of all our offerings. Pay your employees correctly and on time. 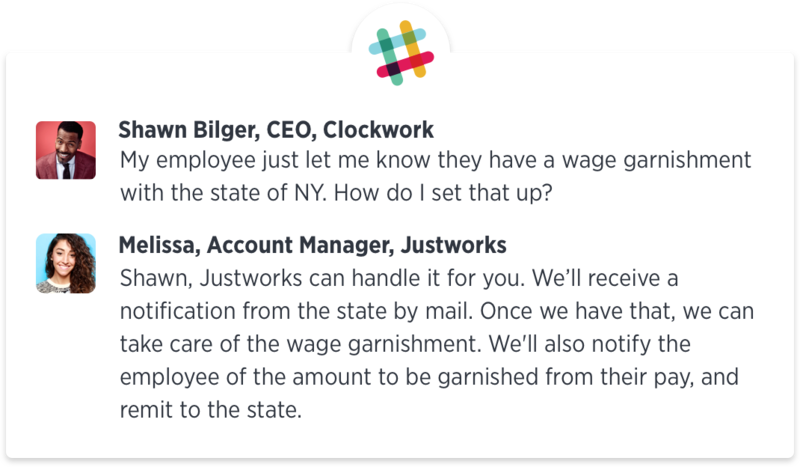 Justworks makes payroll streamlined and easy. We handle withholding, reporting, and remitting your payroll taxes, and we also file your W-2s and 1099s. 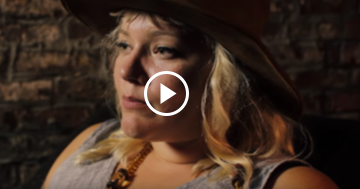 As your team grows, you're bound to have questions beyond payroll and benefits. We help with that, too. Our certified HR consultants are available to provide tailored guidance and best practices around managing your people. Running a business comes with its fair share of fine print. 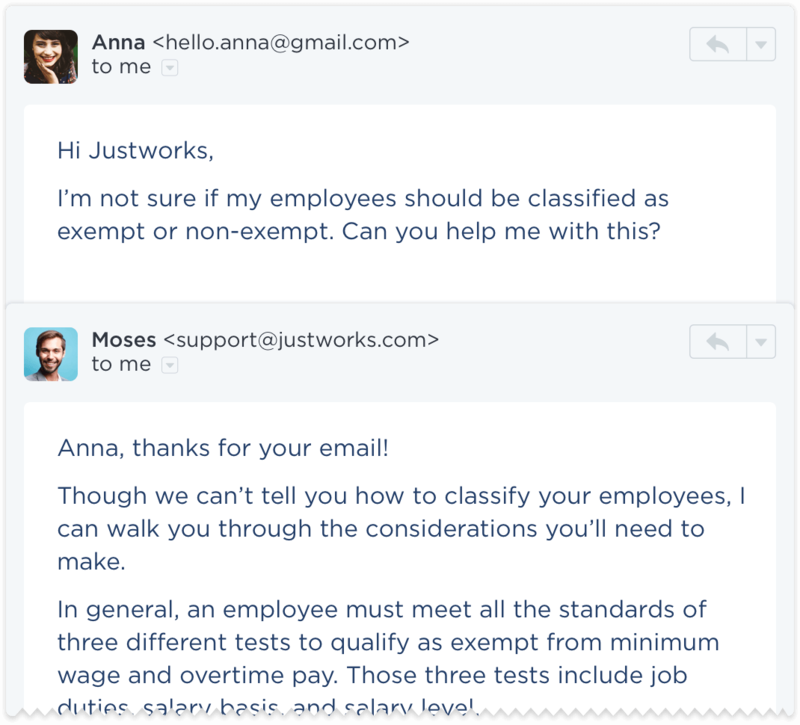 Justworks helps you comply with applicable federal, state, and local employment requirements, so you have more time to focus on your team. Justworks’ dedicated onboarding managers help make sure you’re set up for success. Getting started with a new system should be as simple as possible, and we’re here to make it happen. 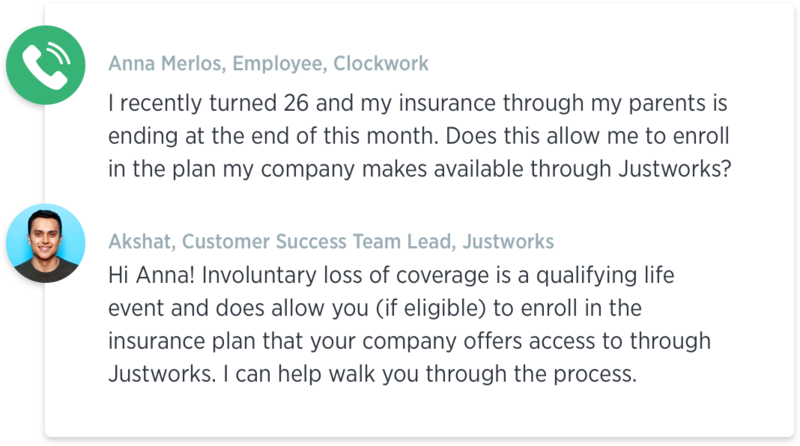 Are you a current Justworks customer with a question? How Much Health Insurance Should a Small Business Offer Employees? Find the price and plan that fits your business.